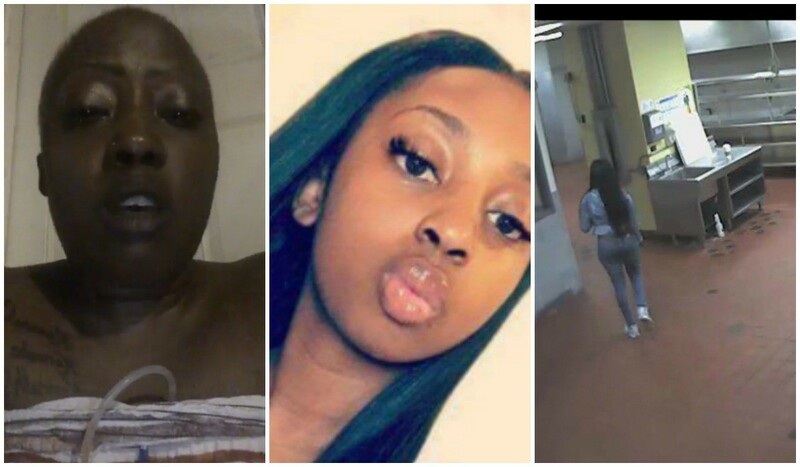 Kenneka Jenkins' Mother Says She Was Taken Advantage of by Activists: "This Protest Is Over"
Home Chicago Kenneka Jenkins Kenneka Jenkins' Mother Says She Was Taken Advantage of by Activists: "This Protest Is Over"
Teresa Martin, the mother of Kenneka Jenkins, declared the protests for her daughter to be over during a Facebook live broadcast Sunday night. During the six-minute-long discussion, Martin thanked those who've come out to protest at the hotel in Rosemont, Illinois where Jenkins' body was found, but she no longer trusts the protest's organizers. "I’m ending y’all’s agendas that’s not righteous toward my child,” Martin said in the video. Martin alleges organizers collected money she did not know about. Organizer Jedediah Brown says the donations were spent on transportation, food, and legal expenses for the protestors. Kenneka Jenkins' body was found in a freezer at the Crowne Plaza on September 10. Rosemont police have released multiple video clips of Jenkins inside the hotel before her death. None of them show the 19-year-old walking into the freezer alone. Jenkins' funeral will be held on Saturday.